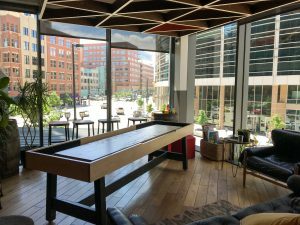 vCORE’s Denver office is currently housed within the WeWork space on Wewatta Street near Union Station. 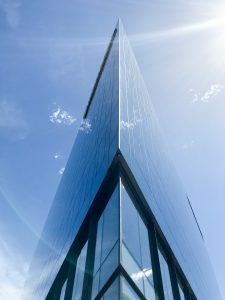 Denver, Colo. – July 18, 2018 – vCORE Technology Partners, one of North America’s fastest-growing IT solution providers, has expanded into Colorado with a new office in Denver that will provide local clients with closer access to the company’s unique offerings, including US-based support and managed services. With offices across seven U.S. states and Canada, vCORE has established major engineering hubs in Arizona and California and is planning for similar growth in Colorado, where the company recently opened an office in Denver’s LoDo district. Nathan Mondragon, Director of Engineering, who managed program delivery for Dell EMC in Colorado for more than 8 years. vCORE expects to add more engineers to the Colorado team over the next few months and could see rapid growth from there, considering the success of its engineering-centric model in other markets. In Arizona, for example, vCORE has grown its team from just five employees at the start of 2015 to about 60 today. The company’s Southern California team, meanwhile, has added nearly 40 employees over the same period. vCORE’s new Denver office gives Colorado companies closer access to one of North America’s fastest-growing IT solution providers. In Colorado, where low unemployment, strong GDP growth and an abundance of talent are driving one of America’s best economies, vCORE expects to contribute immediately to the region’s emergence as a national tech hub. Global technology companies seem to agree, with Google opening a major campus in Boulder and Microsoft and Amazon recently celebrating expansions in the Denver area. 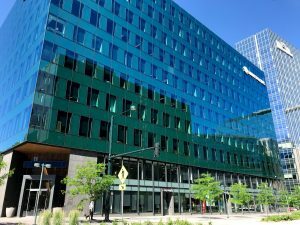 About a dozen other tech companies, from VMware to Oracle, have 500 or more employees in metro Denver. vCORE, which offers enterprise-class engineering expertise and a team recognized among North America’s “Tech Elite” solution providers, could add dozens of additional high-wage jobs to the area’s economy over the next few years. Those jobs could include cloud architects, enterprise network engineers, cybersecurity experts and technical support analysts, among others. vCORE’s engineering practices are centered on five “pillars of excellence” across the data center: data protection, CI/HCI/storage, cloud, enterprise networking and security. The company partners with the world’s leading technology manufacturers to provide tailored IT solutions, supported by vCORE’s US-based operations center and managed services team. vCORE Technology Partners provides customized IT solutions and services for more than 100 companies across the U.S. and Canada. 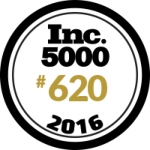 Headquartered in Scottsdale, Ariz., vCORE was launched in 2010 and has since enjoyed industry-leading growth. Our team includes proven experts in IT solutions, including hybrid cloud infrastructure, security, networking, data protection and proactive managed services. Clients include multibillion-dollar media companies, major health-care providers, technology giants, data centers and others. Want to learn more about vCORE’s IT solutions and services in Colorado? Reach out to Bob Ghia at robert.ghia@vcoretec.com.